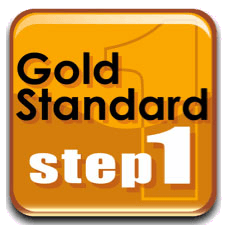 The Gold Standard USMLE Step 1 Audio Prep is a full USMLE course that covers the full range of Step 1 topics. Written and narrated by a physician, the course has more than 80 hours of basic science lectures. This is the highest quality, comprehensive course available. Both regular speed and a 150% "FAST Speed" version come with the download. A PDF reference guide accompanies the audio course. USMLE Triple Review is the combination of the USMLEHelp Step 1 Anatomy and Biochemistry products along with DocNeuro's Neurology review, all into one USMLE audio course- For 20% OFF! This audio program contains over 13 hours of Step 1 Biochemistry and Anatomy review and 5 hours of Neurology, with over 2,200 questions and answers. This USMLE Step 1 review is in .mp3 format that is compatible with iPhone, iPod, PCs, and other MP3 players. The regular speed and 150% "FAST Speed" audio versions of the USMLE Step 1 review are included. DocNeuro's USMLE neurology review is appropriate for all 3 USMLE steps, as well as shelf exams for medical students during their didactic or clinic years. It's also a great review for internal medicine residents preparing for their in-service exam or internists preparing for the board certification exam. USMLE audio material is presented in .mp3 format that is compatible with iPhone, iPod, Android, Windows, and other MP3 players. USMLEHelp Step 2 CS Audio MP3 is a 5.9 hour review specifically for the USMLE Step 2 CS. In addition to 40 Clinical Cases, simulating your patient encounters on the CS exam, this book contains great tips for Step 2 CS success. Topics include initial plan of attack, basic guidelines for passing the exam, overcoming challenging patients, how to write a good note, FORTY CLINICAL CASES and much more. This Step 2 CS review is in .mp3 format that is compatible with iPhone, iPod, PCs, and other MP3 players. The regular speed (5.9 hour) and 150% "FAST Speed" (3.7 hour) audio versions of the USMLE Step 2 CS review are included. For a high-yield, fast-paced, on the go Step 2 CS review - choose USMLE Help Step 2 CS Audio. USMLEHelp Step 3 CCS Audio is a high-yield, 11 hour USMLE Step 3 review in .mp3 audio format that is compatible with iPhone, iPod, PCs, and other MP3 players. 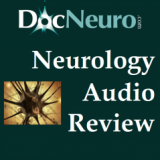 In this audio review you will work through almost 200 USMLE Step 3 style case presentations from chief complaint, to vitals, to physical exam, to labs, to differential diagnosis, to final diagnosis and treatment. These cases teach you the general approach of how to think for the USMLE Step 3. The regular speed (11 hour) and 150% "FAST Speed" (7 hour) audio versions of the USMLE review are included. For a high-yield, fast-paced, on the go USMLE Step 3 review - choose USMLE Help Step 3 CCS Audio MP3. Information on Goljan audio for the USMLE.